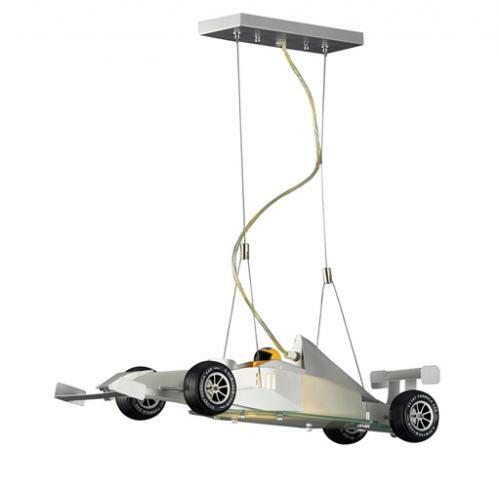 Race Car Pendant Light in Satin Nickel - The race car ceiling light pendant is the perfect finishing touch for a little boy's race car theme bedroom or playroom. Race car pendant ceiling light takes two 60-watt bulbs. Made of satin nickel and clear glass.